For the 1942 Italian film La donna è mobile, see The Lady Is Fickle. 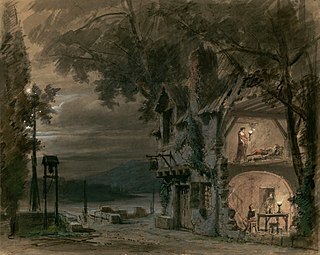 "La donna è mobile" (pronounced [la ˈdɔnna ˌɛ mˈmɔːbile] ; "Woman is fickle") is the Duke of Mantua's canzone from the beginning of act 3 of Giuseppe Verdi's opera Rigoletto (1851). The canzone is famous as a showcase for tenors. Raffaele Mirate's performance of the bravura aria at the opera's 1851 premiere was hailed as the highlight of the evening. 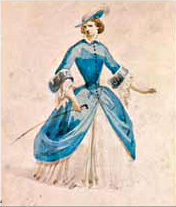 Before the opera's first public performance (in Venice), the song was rehearsed under tight secrecy:  a necessary precaution, as "La donna è mobile" proved to be incredibly catchy, and soon after the song's first public performance it became popular to sing among Venetian gondoliers. Literally "song" in Italian, a canzone is an Italian or Provençal song or ballad. It is also used to describe a type of lyric which resembles a madrigal. Sometimes a composition which is simple and songlike is designated as a canzone, especially if it is by a non-Italian; a good example is the aria "Voi che sapete" from Mozart's Marriage of Figaro. In music, a reprise is the repetition or reiteration of the opening material later in a composition as occurs in the recapitulation of sonata form, though—originally in the 18th century—was simply any repeated section, such as is indicated by beginning and ending repeat signs. The aria is in the key of B major with a time signature of 3/8 and a tempo mark of allegretto. The vocal range extends from F♯3 to A♯4 with a tessitura from F♯3 to F♯4. Eight bars form the orchestral introduction, followed by a one-bar general rest. 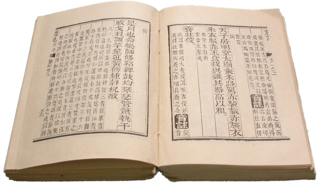 Each verse and the refrain covers eight bars; the whole aria is 87 bars long. B major is a major scale based on B. The pitches B, C♯, D♯, E, F♯, G♯, and A♯ are all part of the B major scale. Its key signature has five sharps. Its relative minor is G♯ minor, its parallel minor is B minor, and its enharmonic equivalent is C♭ major. The almost comical-sounding theme of "La donna è mobile" is introduced immediately. The theme is repeated several times in the approximately two to three minutes it takes to perform the aria, but with the important—and obvious—omission of the last bar. This has the effect of driving the music forward as it creates the impression of being incomplete and unresolved, which it is, ending not on the tonic (B) or dominant (F♯) but on the submediant (G♯). Once the Duke has finished singing, however, the theme is once again repeated; but this time it includes the last, and conclusive, bar and finally resolving to the tonic of B major. The song is strophic in form with an orchestral ritornello. In music, the dominant is the fifth scale degree of the diatonic scale, called "dominant" because it is next in importance to the tonic, and a dominant chord is any chord built upon that pitch, using the notes of the same diatonic scale. The dominant is sung as sol in solfege. The dominant function has the role of creating instability that requires the tonic for resolution. In music, the submediant is the sixth degree of the diatonic scale, the lower mediant—halfway between the tonic and the subdominant. It is also the third factor of the subdominant (IV) triad. It is occasionally called superdominant, as the degree above the dominant. It is sung la in solfege. In music theory, the submediant triad is symbolized by the Roman numeral VI if it is major or vi if it is minor. The tune has been used in popular culture for a long time and for many occasions and purposes. Verdi knew that he had written a very popular melody, so he provided the score to the singer at the premiere, Raffaele Mirate, only shortly before the premiere and had him swear not to sing or whistle the tune outside rehearsals. And indeed, people sang the tune the next day in the streets. Early, it became a barrel organ staple, and later was used extensively in television advertisements. Football fans chanted new words on the melody,  and it was used in video games and films. The Lost Opera is an album by the Korean soprano Kimera and the Operaiders with the London Symphony Orchestra. Consisting of snatches of popular operatic arias and choruses against a disco beat, in the style of the Hooked on Classics album, it was released in 1984 by the record label Red Bus. Whilst not a major UK success, it spent some sixteen weeks in the French charts. It was repackaged in a style more disco than classical in 1985 and reissued with the more descriptive title Hits on Opera', and with a more techno-style cover illustration, but it gained little additional interest. Being neither one thing nor the other, however, its audience was bound to be divided and it may be regarded as an experiment belonging to its time. Aria is a 1987 British anthology film produced by Don Boyd that consists of ten short films by ten different directors, each showing the director's choice of visual accompaniment to one or more operatic arias. There is little or no dialogue from the actors, with most words coming from the libretto of the operas in Italian, French, or German. Sergei Yakovlevich Lemeshev was one of the most well-known and beloved Russian operatic lyric tenors. Joseph Calleja,, is a Maltese tenor. Jacqueline Lisa Dark is an Australian operatic mezzo-soprano. She was born in Ballarat and attended the University of Ballarat from 1986 to 1988, receiving a Bachelor of Science (Physics) and a Graduate Diploma of Education in 1989. Opéra imaginaire is a 1993 French live-action animated musical anthology film, made for television. It has been compared to films like Fantasia and Allegro Non Troppo, and consists of 12 different segments, most of which are based on different popular operas. All of these segments are done in a greater variety of animation styles than Fantasia had done. It was nominated for best production at the CableACE Awards in 1994. ↑ Downes, Olin (1918). The Lure of Music: Depicting the Human Side of Great Composers. Kessinger. p. 38. 1 2 Piave, Francesco Maria; Verdi, Giuseppe (c. 1930). Rigoletto. Translated by Natalia MacFarren. piano vocal score, Italian/English. New York: G. Schirmer Inc. pp. 173ff. ↑ Downes, Olin (1918). The Lure of Music: Depicting the Human Side of Great Composers. New York: Harper & Brothers. p. 38. ↑ Stan Hey (21 April 2006). "Tales from the terraces: The chants of a lifetime". The Independent . Retrieved 27 December 2016. Wikimedia Commons has media related to La donna è mobile .